My Baby Boy is Two! 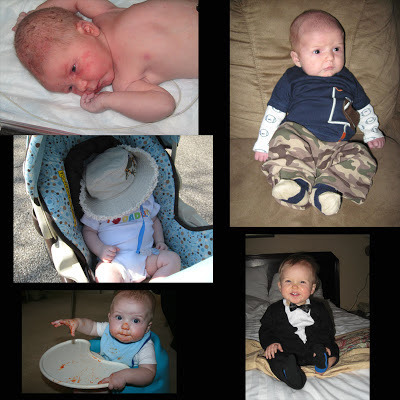 | Back Home Again: My Baby Boy is Two! Well, he will be at 11:18PM EST. Holy. Cow. Where has the time gone? !It seems like just yesterday he was my super cuddly baby boy who wanted no one but his mommy (and Papaw!). Now he's my always active toddler whose language has exploded and says words I had no idea he knew. He had a Mickey Mouse themed birthday party with family and close friends at our house this afternoon. He got a ton of toys too...I think everyone we know now owns stock in Disney! It was a great day and I'm glad everyone could come and help make his party a success!